Tianxiang (天祥, also Tiensiang) is a small town at the top of Taroko Gorge, 22km from the East Coast, from which point the road carries on as the central cross-island highway. To really experience Taroko Gorge I recommend staying a night or two here It's a stunningly beautiful town nestled in amongst the cliffs, and far enough away from Hualien that the majority of tour buses don't reach here, with the few that do generally going onto the nearby Baiyang Waterfall Trail and missing the town itself. The road up through the gorge is frightening, and it soon becomes clear why over 200 people died building the Central Cross-Island Highway. When it's not passing through tunnels the road is usually literally carved into the side of a cliff. And of course now the route is plied by countless tour buses, often struggling to get past or round each other on tight bends or through narrow tunnels, or simply to find anywhere to park without blocking the already-narrow road. the journey is not for the faint hearted, and I have utmost respect for the bus drivers! The temple and two trails near Tianxiang can easily be seen in a day, but you may wish to stay another day to take in the relaxed atmosphere and fresh air of Taroko Gorge. Note that the first bus towards Hualien leave Shakadang Trail and Swallow Grotto at 9:10, so by public transport they can be reached earlier from Hualien than from Tianxiang, a pity as it would be great to be able to stay in Tianxiang and beat the crowds to these popular hiking routes. Staying there does give good 'first access' to the Baiyang Trail (mostly closed at the time of writing) and the LiuShui trail, which are both reachable by walking from Tianxiang. Tienxiang's main attraction is the Xiangde Temple, a charming Buddhist complex only accessible by footbridge. It's mind boggling how it could have been built without road access, and maintaining it during typhoons and earthquakes is clearly a huge undertaking. The photogenic Tianfeng Pagoda, a dominant feature visible on the mountain from the town, may be climbed, but please be careful! The railing, both for the stairwell and around the viewing platform is well below the average centre of mass for a westerner, and it would be very easy to slip and fall to one's death, especially when it's raining or if carrying a pack, so leave it at your accommodation first. The white-robed statue of Guan Yin (a major Buddhist deity) is also a popular photo attraction. These might be the freshest vegetables in Taiwan. Photo taken from the Pagoda. There are three established accommodation options in Tianxiang, and a few minshus (homestays). Silks Hotel, with the Protestant Church and Hostel behind (top left). For those travelling in style, Taroko Gorge is home to Silks Hotel, one of Taiwan's most famous, and a popular spot for honeymoons and other celebrations. It offers the chance to play tennis or laze about a rooftop swimming pool, with a full view out over Taroko Gorge. Needless to say it gets fantastic reviews. 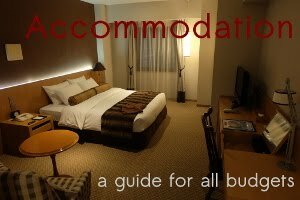 As of April 2015 rooms start at around NT11,000 on their website, or are significantly discounted (sometimes without dinner) on Agoda, starting at NT7,500. Silks also offer the best (almost the only) vegetarian meal in the gorge (see below). 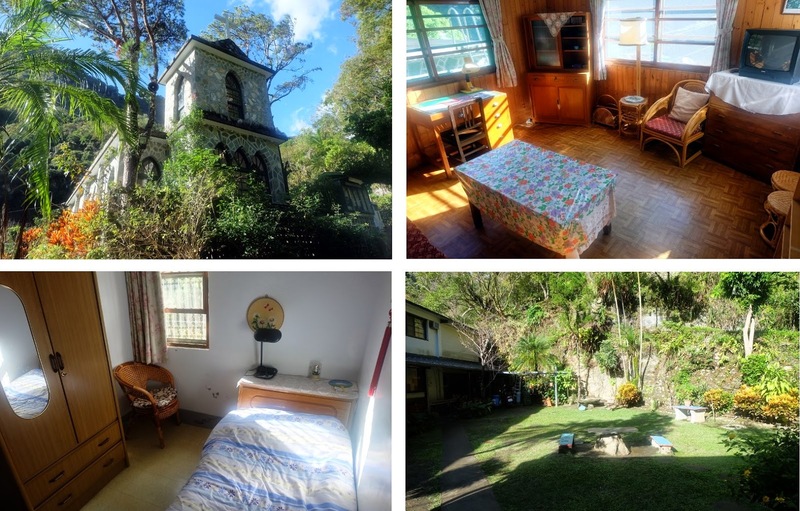 The Catholic Hostel has been the principle budget accommodation for years. People who've stayed there report that it's showing its age, and has a lot of concrete, but is otherwise clean and functional. The double room without a bathroom can be made into a twin room, but the one with bathrooms can't be. They only take bookings by phone (preferably in Chinese) on 03-869112. Not to be outdone by the Catholics, the Protestant Church also runs a similar hostel, attached to a beautiful stone church which was founded by a German missionary fifty years ago, and if you happen to be Christian and able to read German you could spend weeks reading all the literature available (or you could explore the gorge). It has a pleasant, homely feel, with shared (clean) bathrooms, and a small outdoor seating area where visitors relax and chat during the evenings. I stayed here, and had a mostly good experience, however the bedsheets didn't appear to have been washed after the previous person, and it was rather cold without heating in mid-November. But it's not a bad deal for the price. All rooms have shared bathrooms. Singles cost NT600 and doubles NT1200. They also only take bookings by phone (also preferably in Chinese) on (03) 869-1122. Taroko Gorge offers a great opportunity to camp during the warmer months, however you'll need to be prepared. See Camping in Taroko Gorge for more details. Finding decent food in Tianxiang is a challenge, especially with added energy demands of hiking. There are a few restaurants which serve famously bad food beside the bus station. Bring as much packaged food and cold meals as possible. Note that it's a little cooler in the gorge than Hualien, so food should last a little longer, but most accommodation has a fridge available. 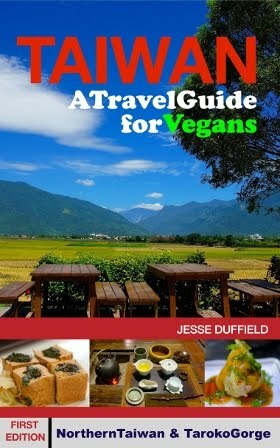 I recommend anyone, but especially vegetarians and vegans or anyone who likes nutritious food to bring take-outs from the Hualien Loving Hut. Attached to the Xiangde temple (open 6am to 5pm), is a charming little outdoor cafe which serves a few simple vegetarian dishes. The stewed tofu is quite 'traditional', with an optional (but delicious) fiery chilli sauce, made by a nun at the temple. They also serve delicious cold or iced tea, including plum tea (a traditional Japanese tea). Silks Hotel is the place to dine in Tianxiang, but don't expect much change out of NT1000 per person after enjoying their eleven course meal. Vegetarian and vegan options are available. The store on the corner of the shops (next door to the restaurants) sells a few packaged food items, including nuts and similar snack foods, and bamboo shoots. At the Protestant Hostel there was no water fountain, so buy bottled water while you are here. The young, English-speaking aboriginal staff member may offer insightful information about the area if you strike up a conversation with him. Tianxiang is the perfect place from which to walk the Lushui Trail and the Baiyang Waterfall trail (mostly closed). 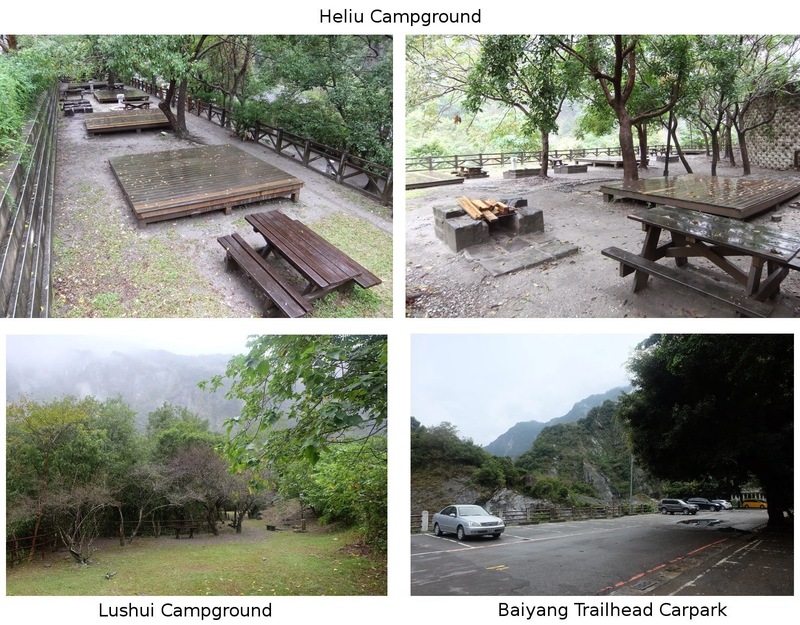 Hualien Travel Guide Camping in Taroko Gorge.